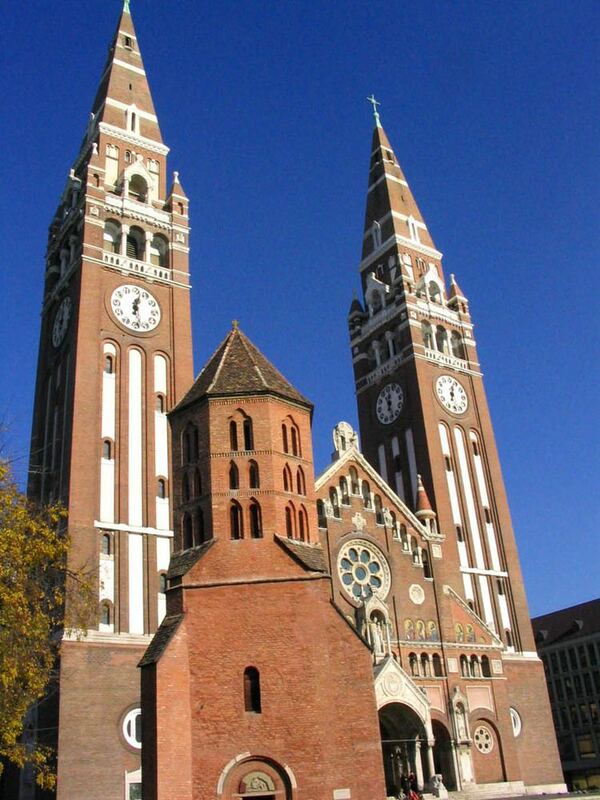 Szeged ([ˈsɛɡɛd]; see also other alternative names) is the third largest city of Hungary, the largest city and regional centre of the Southern Great Plain and the county seat of Csongrád county. The University of Szeged is one of the most distinguished universities in Hungary. Szeged was first pillaged by the Turkish army on 28 September 1526, but was occupied only in 1543, and became an administrative centre of the Ottomans (see Ottoman Hungary). The town was a sanjak centre first in Budin Eyaleti (1543–1596), after in Eğri Eyaleti. The town was freed from Turkish rule on 23 October 1686, and regained the free royal town status in 1715. In 1719, Szeged received its coat of arms (still used today) from Charles III. During the next several years, Szeged grew and prospered. Piarist monks arrived in Szeged in 1719 and opened a new grammar school in 1721. Szeged also held scientific lectures and theatrical plays. These years brought not only prosperity but also enlightenment. Between 1728 and 1744 witch trials were frequent in the town, with the Szeged witch trials of 1728-29 perhaps being the largest. The witch trials were instigated by the authorities, who decided on this measure to remove the problem of the public complaints about the drought and its consequences of famine and epidemics by laying the responsibility on people among them, which had fraternized with the Devil. In 1720, the population of the city totalled 193 households, of which 99 were Serbian. After the First World War Hungary lost its southern territories to Romania and Serbia, as a result Szeged became a city close to the border, and its importance lessened, but as it took over roles that formerly belonged to the now lost cities, it slowly recovered. The University of Kolozsvár (now Cluj-Napoca, Romania) moved to Szeged in 1921 (see University of Szeged). In 1923 Szeged took over the role of episcopal seat from Temesvár (now Timișoara, Romania). It was briefly occupied by Romanian army during Hungarian-Romanian War in 1919. During the 1920s the Jewish population of Szeged grew and reached its zenith. Szeged suffered heavily during the World War II. 6,000 inhabitants of the city were killed, the Jewish citizens were confined to ghettos, then taken to death camps, and the Soviet Army occupied the city in late 1944. During the Communist-era, Szeged became a centre of light industry and food industry. In 1965 oil was found near the city; the area now satisfies 67% of the country's oil demand. The city of Szeged has 62 kindergartens, 32 elementary schools, 18 high schools and a university, which were established by the unification of the past existing higher education centres. The two most prominent high schools (Ságvári Endre Gyakorló Gimnázium and Radnóti Miklós Kísérleti Gimnázium) are in the top fifteen in the country. Szeged is the higher education centre of southern Hungary and has built quite a reputation for itself. Thousands of students study here, many of whom are foreign students from all around the world. The Biological Research Centre of the Hungarian Academy of Sciences, which was built with the help of UNESCO funds, has also been a considerable source of advanced research. Scientists at this laboratory were first in the world to produce artificial heredity material in the year 2000. The building has served as a home to many well known conferences and continues to make contributions to the world of science. The University of Szeged was ranked as the top university of the country on Academic Ranking of World Universities - 2005, and in the top 100 in Europe. The most popular sport in the town is handball. The town has one well-known club the 2013-14 EHF Cup-winner SC Pick Szeged playing in the Nemzeti Bajnokság I. The second most popular sport is football in the town. Szeged had several clubs playing in the top level Hungarian league, the Nemzeti Bajnokság I. These are Szegedi AK, Szegedi Honvéd SE. The only currently operating club, Szeged 2011 play in the Nemzeti Bajnokság II.